What a fun ocean creature is the dolphin! Playful, jumping, splashing, chattering, truly making waves. Here is my figure representing our fabulous friend. 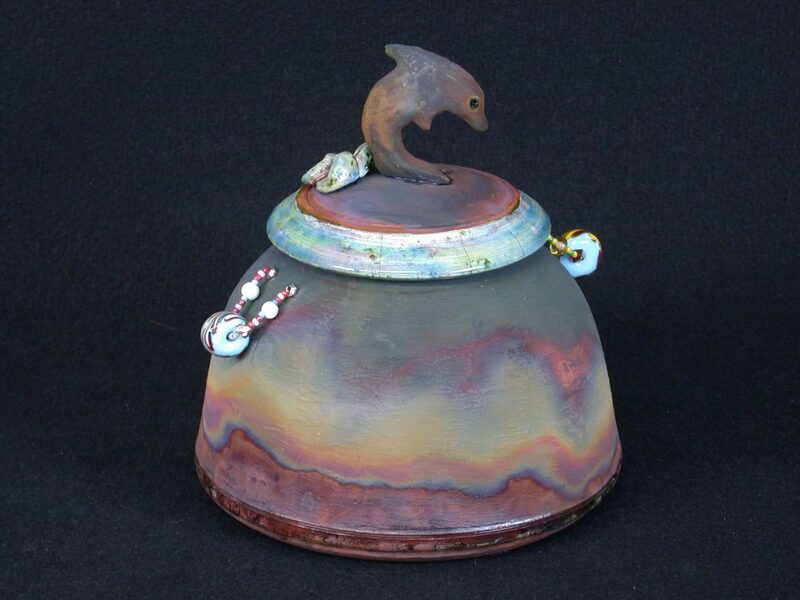 I used my matte glaze on most of this jar, which once fired, turned into waves of colors in motion around this whole piece. When I added adornment, I chose my own lamp worked glass beads, which themselves have swirling colors. These "jewels," picked up this same waves theme giving this spirit jar a further motion. Size: 5.5" ht x 6.5" dia.